Alison grew up in Liverpool, and now lives in a medieval house in Somerset with her three teenage children, her husband (a carpenter), an extremely naughty Jack Russell and a ghost cat. She has co-authored a number of non-fiction titles on subjects as diverse as growing old, mad monarchs, how to boil a flamingo, the history of America and the biography of a nineteenth-century baby killer. She has also worked as a fashion designer, a production controller, a painter and decorator, a barmaid, and now owns and runs a vintage tea room. Find Alison on Twitter @alisonrattle and at www.alisonrattle.com. 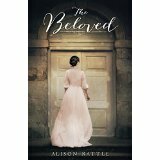 The Beloved: Escape from a bullying mother takes one young woman to an even more dangerous place. Alice Angel has known only a life of rules, restriction and punishments that are inevitably doled out as she strays from the rigid path of Victorian proprietary that her mother has set out for her. A constant disappointment to all but her beloved father, she longs for the day that she might break free from the stifling atmosphere of her mother’s rule. After a chance encounter with a charming stranger, and a final incident with her family that sees her condemned to the madhouse, Alice sees her opportunity to run and grasps it with both hands. She escapes to join the Agapemonites in their Abode of Love, where ex-Reverend Henry Prince rules his isolated colony of women as their Beloved. Prince ignites a passion in Alice that she never knew existed, and she dares to think she might be free at last. But as Alice becomes more deeply drawn into the life of Prince’s strange religious sect, secrets are revealed that seem to hint at a darker nature lurking behind the man’s charm. Instead of freedom, is Alice in fact more trapped, alone and in danger than ever before? 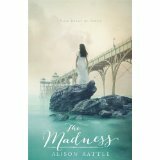 The Madness: Sixteen-year-old Marnie lives in the idyllic coastal village of Clevedon. Despite being crippled by a childhood exposure to polio, she seems set to follow in her mother’s footsteps, and become a ‘dipper’, escorting fragile female bathers into the sea. Her life is simple and safe. But then she meets Noah. Charming, handsome, son-of-the-local-Lord, Noah. She quickly develops a passion for him – a passion which consumes her. As Marnie’s infatuation turns to fixation she starts to lose her grip on reality, and a harrowing and dangerous obsession develops that seems certain to end in tragedy. 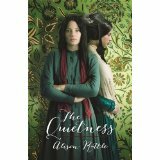 The Quietness: When fifteen-year-old Queenie escapes from the squalid slums of nineteenth-century London, she has no idea about the dangers of the dark world she is about to become embroiled in. Initially thrilled at being taken on as a maid for the seemingly respectable Waters sisters, Queenie comes to realise that something is very wrong with the dozens of strangely silent babies being ‘adopted’ into the household. Meanwhile, lonely and unloved sixteen-year-old Ellen is delighted when her handsome and charming young cousin Jacob is sent to live with her family. She thinks she has finally found a man to fall in love with and rely on, but when Jacob cruelly betrays her she finds herself once again at the mercy of her cold-hearted father.